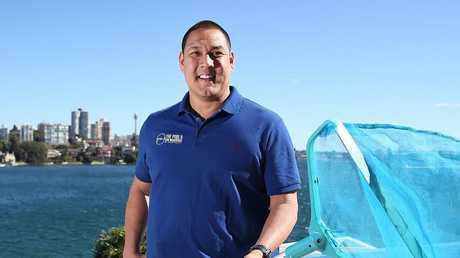 OLYMPIC silver medallist Geoff Huegill has gone from king of the pool to cleaner, with the one-time butterfly champ taking on a client manager job with Sydney outfit The Pool & Spa Whisperer. 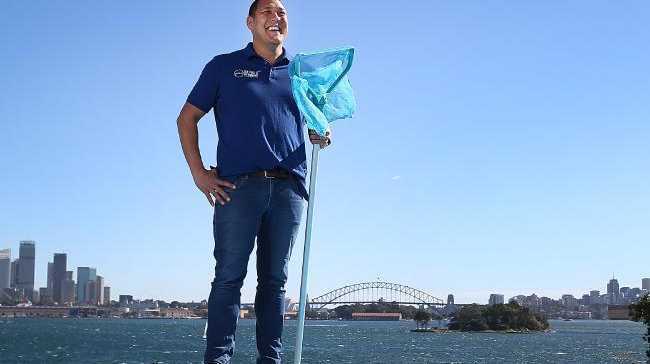 The 40-year-old former world record holder and Sydney 2000 medal winner is diving in to his new work after a year in which his grandmother's death saw he and wife Sara Hills contemplate moving their daughters Milla, 5, and Gigi, 3, to Singapore before deciding to stay put in Bondi. "At the start of the year unfortunately my grandma passed away and I thought about relocating my family overseas. We went to Singapore and a couple of opportunities presented themselves there, but decided as a family to stay here," he said. "I've been around swimming pools for 35 years of my life so I understand filtration systems and pumps and backwashes and what's not to love?" he added, pointing at the Harbour view on a warm Sydney day. 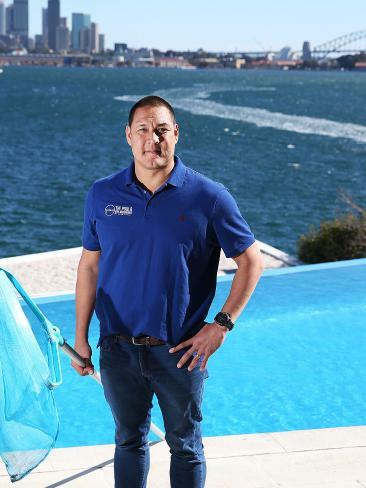 But the one-time champion, who lost 40kg to make a comeback in 2008 after leaving the sport in 2004, before retiring for good in 2012, won't be a complete fish out of water, and is also coaching at Cook & Phillip Aquatic Centre with his HBT Swim Academy. 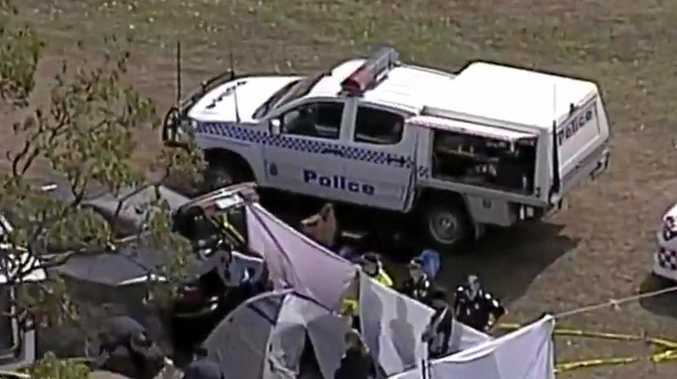 It's a solid return to form for Mackay-born Huegill and Hills after they copped a public dunking in 2014 following a guilty-plea to charges of cocaine possession at Randwick Racecourse. "The good thing about this, regardless of anything, is we are now rebuilding everything again. We are connecting with our networks again," he said. And although Huegill is not actually working the leaf net, his client manager role does involve regular site visits leaving people agape. "Occasionally I rock up to people's backyards and people do get that shock of 'wow what are you doing here? '," he said.